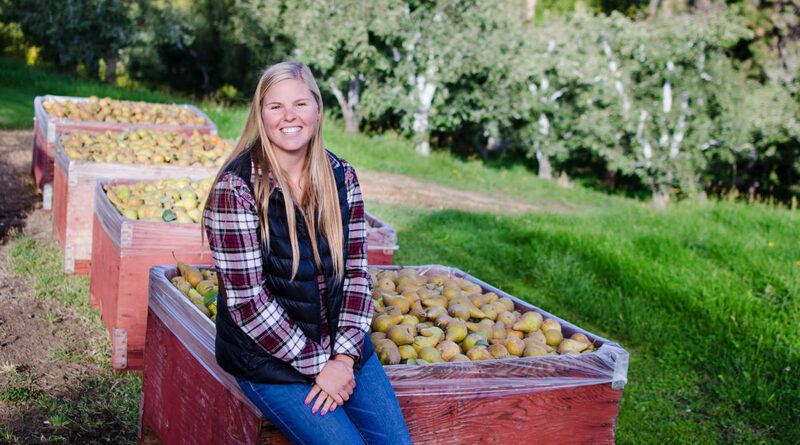 Erica’s great-grandparents, Carl and Elizabeth, bought 20 acres of apples in the Pine Flats area of Dryden, WA in 1953, and since then the Blands have been fruit growers. Eventually, the apples were taken out, pears were planted, and more land was purchased. Erica’s father, Vince, began farming full-time in 1980 and is still fully involved today. Erica adopted the family tradition 7 years ago and is proud to be a 4th generation family farmer. We think Carl and Elizabeth would be proud too. Erica: Jeeping, boating, trying to squeeze in a vacation every now and then between farming and coaching High School Girls Basketball. Growing the best quality pears. Vince: Springtime. There’s a lot of work that picks up and I enjoy those jobs. Erica: I enjoy harvest. It’s what you work toward all summer. I love having my entire family pitching in to help. My sister comes into town with my niece and nephew, both of my grandmas, and my mom all help out. It’s pretty incredible to be part of the experience. If you weren’t farming what would you be doing? Erica: Tough question. I have a Criminal Justice degree and loved that. Maybe I’d work as a probation officer or a corrections officer.